The National Highway Transportation Safety Administration tells us that 28% of car crashes are rear-end collisions. You could easily jump to the conclusion that the car in the rear is always at fault in a rear-end crash, but that is not always the case. There can be several causes for rear-end collisions – and the injuries that can result from such a crash can be quite severe. The legal team at Rocky McElhaney Law Firm makes every client feel heard and supported – and we want to help you, too. We go into battle against the insurance companies and make sure that our clients get the compensation they have coming to them. From offices in Nashville, Hendersonville and Knoxville, RML lawyers never stop fighting the good fight to help you protect your future. Neck injuries (whiplash). Whiplash is an injury that occurs when the G forces at work in a car crash cause the neck and spine to snap violently in and out of their normal range of motion. The snapping forward and then back as the moving car collides with the stationery car can cause extensive damage to the neck, spine and shoulders. Back injuries. Depending on the speed of the moving car during the collision, and the person’s location in the vehicle they could receive an injury ranging from a sprain to a herniated disc. In a worst-case scenario, the spine may be damaged so severely a person is left paralyzed. Face and head injuries. Sometimes the head could strike the steering wheel, or a passenger’s head could strike the windshield that can cause lacerations and bruises to traumatic brain injuries. Wrist, hand and arm injuries. The violent forces of the collision can cause your hands or fingers to smash into anything in the car causing broken bones and other injuries. Seatbelt injuries. In the course of restraining you from the impact of the sudden stop, the seatbelt can leave lacerations on the shoulder, neck and hip. Getting injured in a car crash can really shake you up. You will likely have many questions about how to proceed. 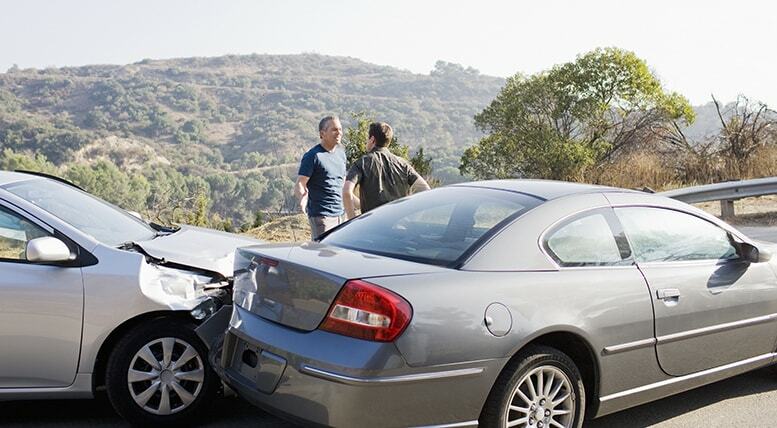 The knowledgeable personal injury attorneys at RML know how to investigate an accident, find out who is at fault and fight for compensation for our clients. If you are looking for an advocate to champion your cause, we are ready to be of service. The legal team at the Rocky McElhaney Law Firm welcomes you any time for a free consultation with our experienced attorneys. We are ready to fight for the compensation you deserve after a car accident caused by the negligence of another driver. You can give us a call at 888.619.4765 or fill out our contact form today. We serve clients in Nashville, Hendersonville and Knoxville and in all areas of East Tennessee.